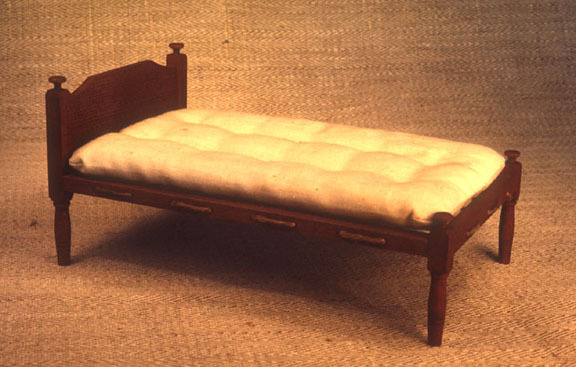 In July of 1982, I built 15 of these beds. This was to become part of a bedroom set, which never got finished. The "springs" were rope, laced back and forth through the frame. Periodically, the rope would have to be tightened up to eliminate the sway in the middle. 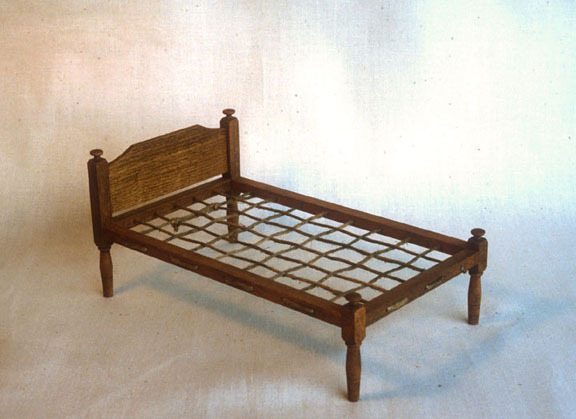 The mattress was stuffed with the shaving produced in making the bed frames.